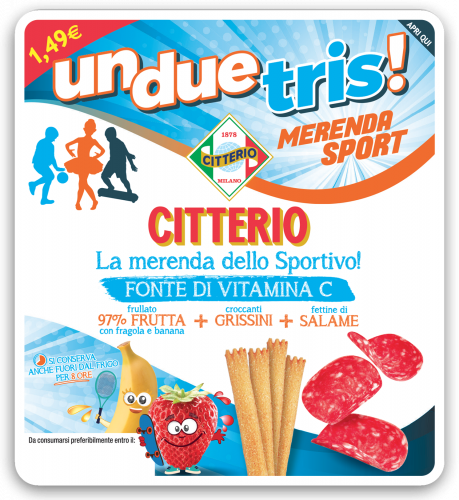 The tasty and nutritious snack by Casa Citterio. 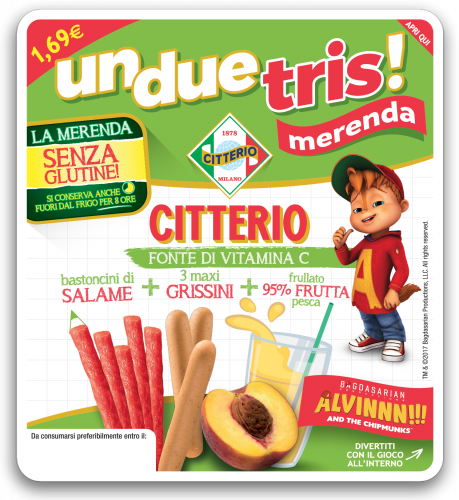 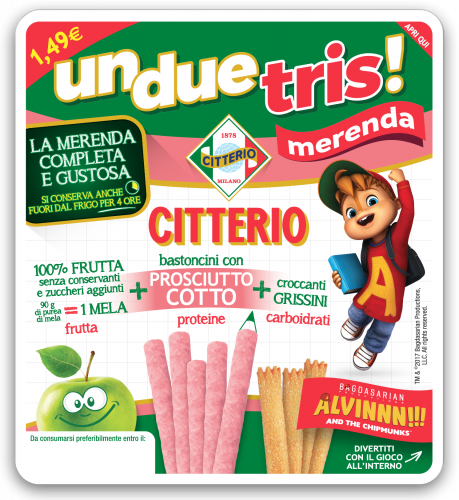 UnDueTris Merenda is the new delicious and nutritious snack by Citterio, made especially for children in accordance with a nutritionist's recommendations: delicious sticks of cooked ham or salami, crunchy breadsticks and 100% applesauce with no preservatives or added sugar, in an appetizing mix of proteins, fruit, and carbohydrates. 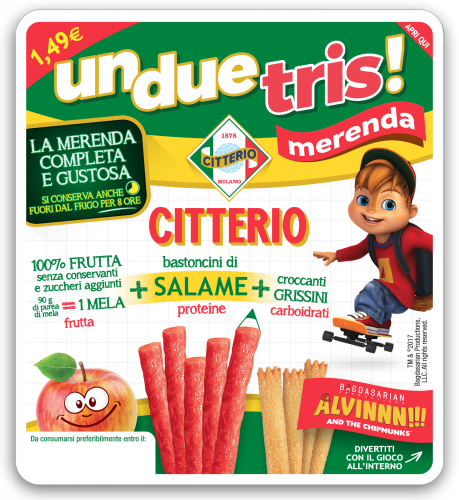 Perfect for school, playtime, or sports: UnDueTris Merenda is easy to take with you and will even keep out of the fridge (up to 4 hours for cooked ham sticks and 8 hours for the salami sticks).